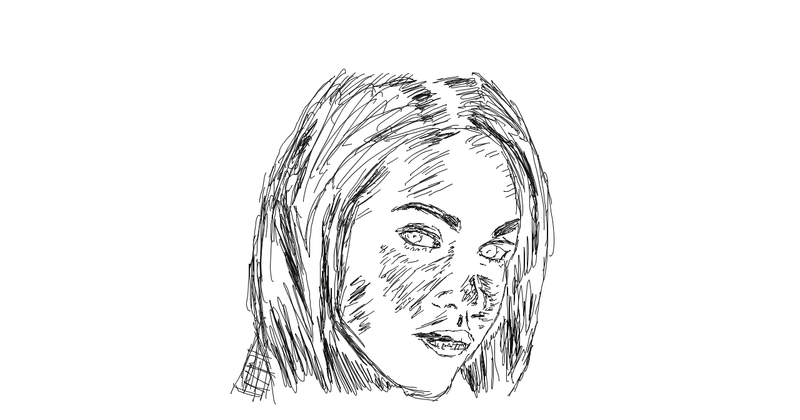 Tried a trace of a pretty face using Alchemy. I don’t know how to set Alchemy to register pressure sensitivity of my graphics tablet, but I think it’s okay for now. Lesser the number of variables, the better for a novice like me. In any case, I think it turned out fairly well. The shadows were a bit tricky since they’re very light. For those interested in trying out something similar, download Alchemy, press Ctrl+T to turn on ” Transparent while Fullscreen” and then Ctrl+F to turn on full screen. You can then trace anything on your screen. Clicking the original image will take you to the source website that I got it from.